There are over a dozen famous salmon rivers draining into the Moray Firth; most reachable within an hour's drive or so from our base in Evanton. The middle and lower Spey beats are about 1.5 hours away. Normal practice is that these salmon beats are let by the week, often to guests returning year after year, but we are sometimes able to offer short breaks on some rivers, and can often get single days for visiting anglers. The River Cassley is one of 4 rivers draining into the Kyle of Sutherland a unique tidal estuary connected to the Dornoch Firth. The Cassley is a prolific spate river flowing south-east for approximately 15 miles from a chain of lochs on the north-east flank of Ben More Assynt to the head of Kyle of Sutherland at Rosehall. Beats include Duchally, Glencassley, Glenrossal and the Lower Cassley fishings. The River Shin is another of the Kyle of Sutherland rivers. Although the Shin system is huge, extending for some 25 miles to the north-north-east from the Kyle, the River Shin itself is a short river, flowing for just 6 miles from the dam at Loch Shin. Much of the outflow from Loch Shin is diverted for hydro-electric power generation meaning river levels in the Shin are fairly constant. Shin Falls about half way along its length is a temperature barrier for migrating spring and early summer salmon, and a famous spot to view leaping salmon. The River Carron is the most southerly of the Kyle of Sutherland rivers. 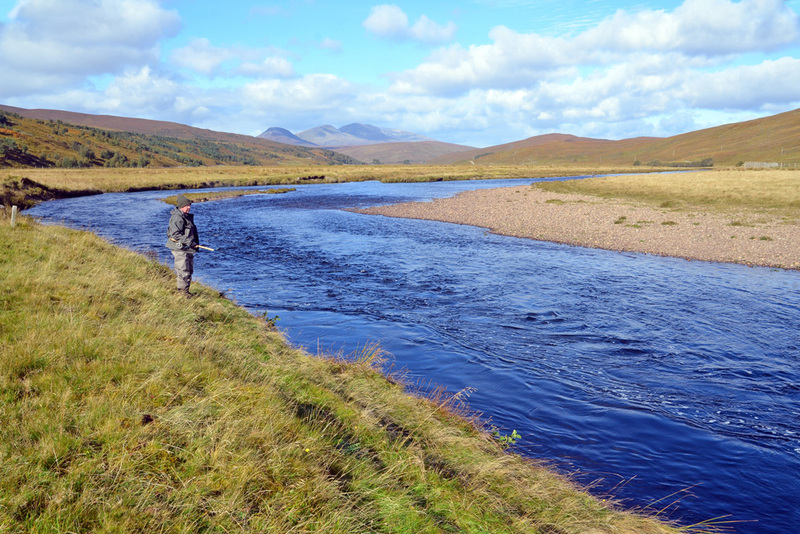 The Carron has a catchment of over 150 square miles, flowing from its source near Beinn Dearg in Wester Ross in a North Easterly then Easterly direction to the Kyle at Bonar Bridge. 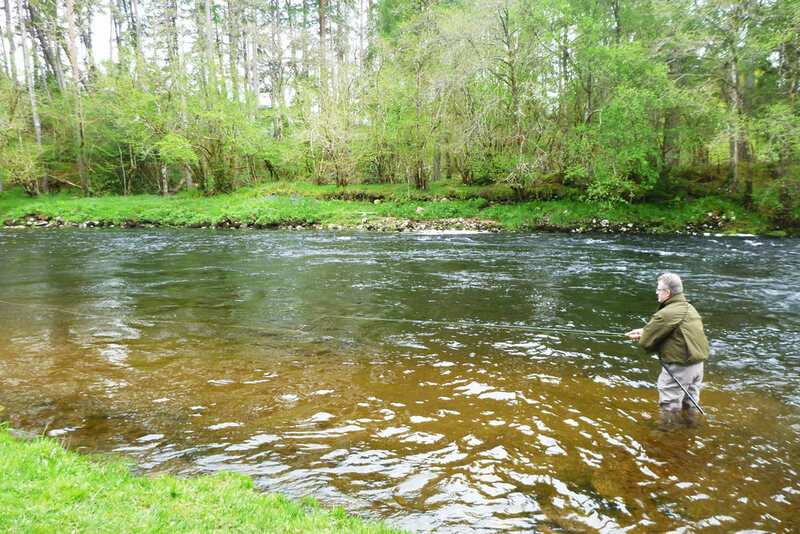 The Carron is a fast flowing medium-sized river producing around 700 salmon & grilse per season. Beats include Braelangwell, Gruinards, Dounie, Cornhill and Gledfield. 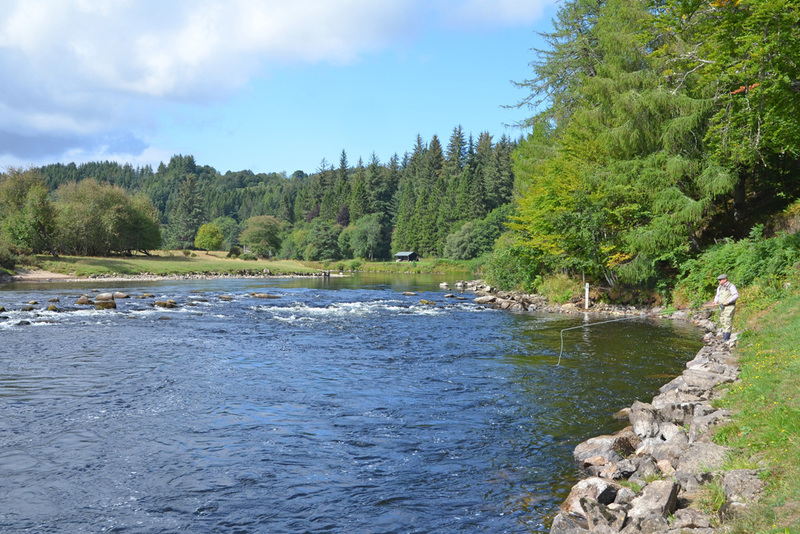 The River Farrar is one of the main tributaries of the River Beauly system which extends west from the Beauly Firth to within 10 miles of the West Coast. The Beauly system was developed for hydro-electric power in the 1950s, with the construction of several dams and power stations. Operation of the scheme affects water levels throughout the system, including the Farrar where they are fairly constant. The Farrar is extremely picturesque and fished for about 6 miles from the dam at Loch Beannacharan to the confluence with the River Glass. The River Ness is a wide salmon river running for just 7 miles or so from the outflow from Loch Ness to the Moray Firth. 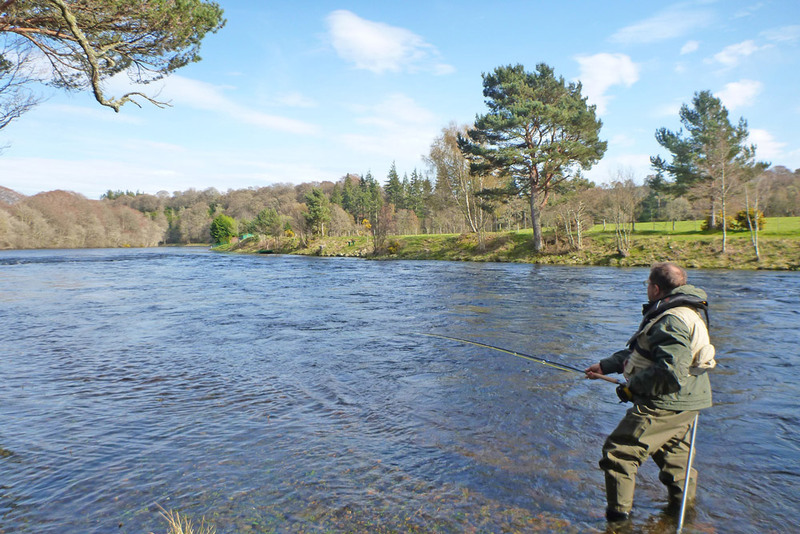 There are 4 private beats below the loch: Dochfour, Laggan, Ness Castle and Ness-side, and the river then continues through the centre of Inverness, where the fishing is controlled by Inverness Angling Club. The Ness system in total typically accounts for over 1000 fish per season, the majority caught on these beats. 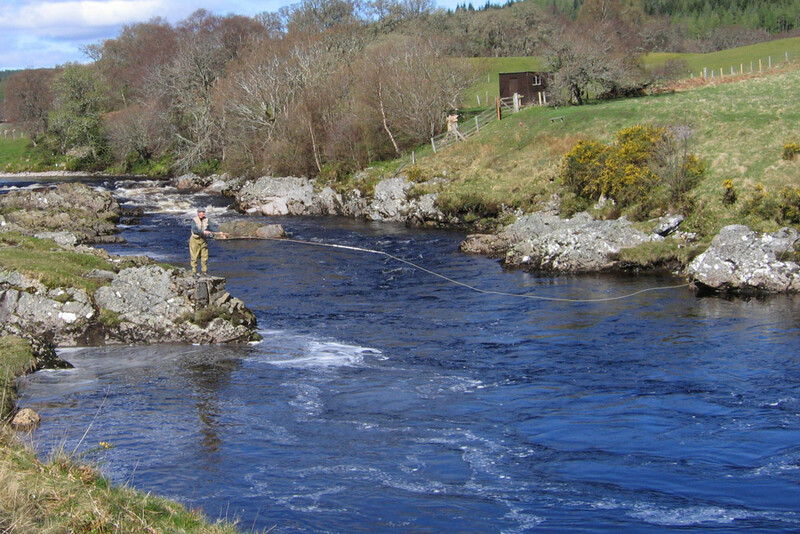 This is a big river with a big fish reputation, and has played a significant part in the history of Spey casting, producing several distance world champions. The River Moriston is part of the Ness system, flowing into Loch Ness at Invermoriston. Although Glenmoriston Estate own about 12 miles of the river, it is only the the Estuary Beat that is fished, which is less than half a mile in length. This beat is mainly a spring salmon beat, one of the best in the Highlands, and although it closes in early June, it produces about 100 fish per season, many over the 20lbs mark. The beat and the fishing is heavily influenced by the hydroelectric-generation scheme, with the outflow from the turbines next to the waterfalls at the top of the beat. The River Oich is another medium-sized river on the Ness system, which has also been harnessed for hydro-electric power generation, that discharges into Loch Ness at Fort Augustus. 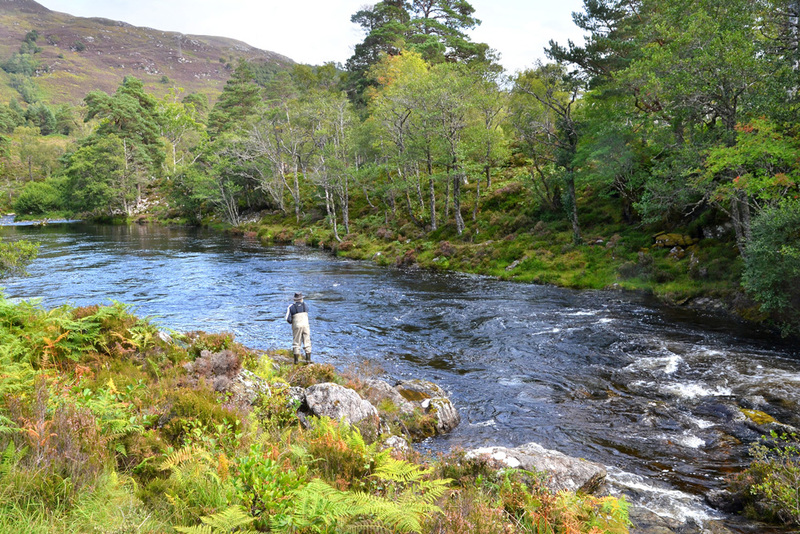 The Oich is less-developed in angling terms, but is a renowned spring river with fish in the 'teens', and in excess of 20lbs caught regularly. 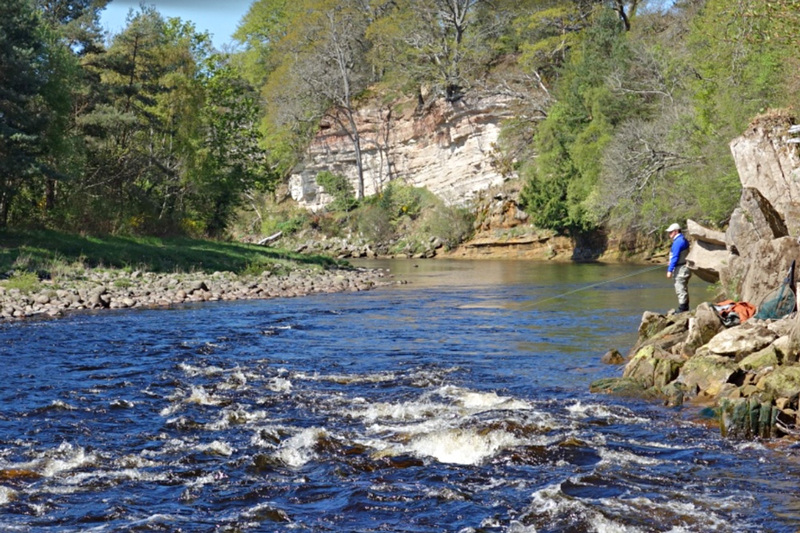 The River Findhorn is a larger river with a big catchment flowing north-east from its source in the Monadhliath mountains for over 50 miles to Findhorn bay. It is joined just upstream of Logie by a tributary, the River Divie, which drains another large area of high ground to the north of Grantown-on-Spey. This large catchment ensures prolonged snow melt in spring months and regular fresh water in the system throughout the season. The River Spey is one of Scotland's "big 4" salmon rivers (along with the Tay, Dee and Tweed), with a catchment of over 3000 sq. km. It is the fastest-flowing and third longest river in Scotland, running for 100 miles from its source on the south-west side of the Monadhliath mountains to Spey Bay on the Moray Firth. 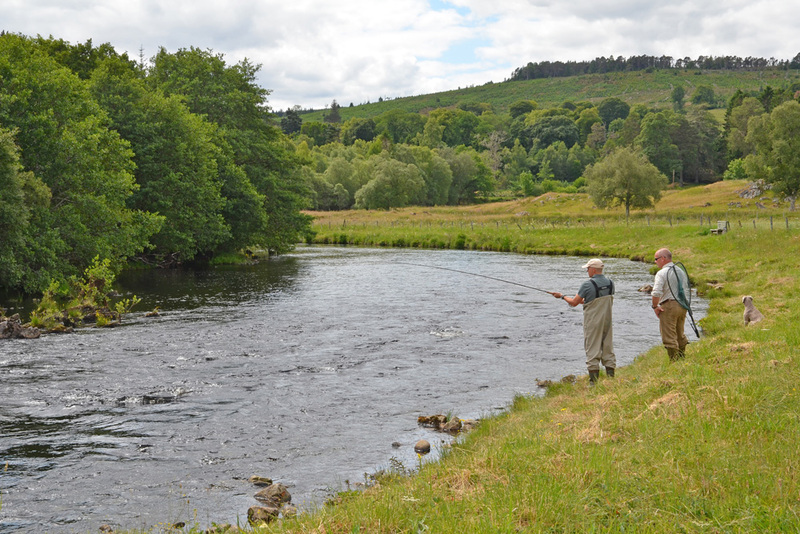 The Spey is world-famous amongst anglers, both as a salmon fishery and as the home of Spey casting, developed here in the mid-1800s. 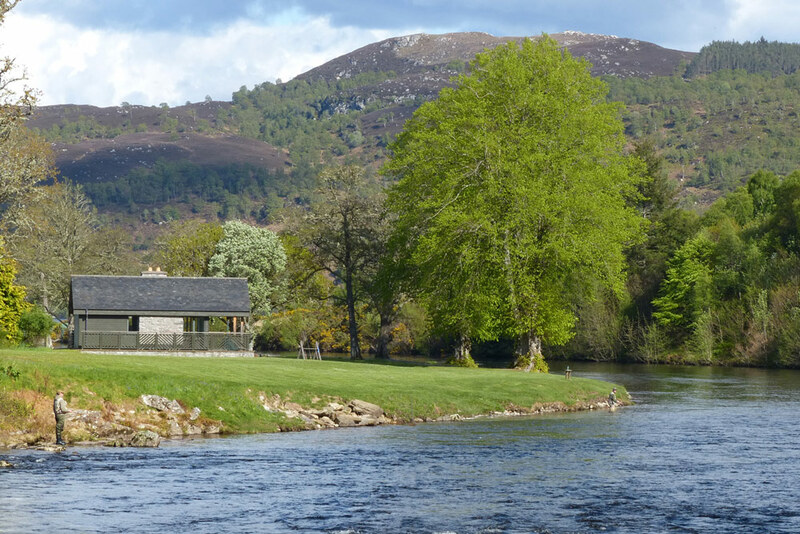 The most productive beats are generally on the middle and lower parts of the river downstream of Grantown-on-Spey including Castle Grant, Tulchan, Ballinddalloch, Pitchroy, Knockando, Carron, Kinermony, Delagyle, Wester Elchies, Craigellachie, Arndilly, Rothes, Delfur, Orton, Gordon Brae, Gordon Castle and the association water at Fochabers.